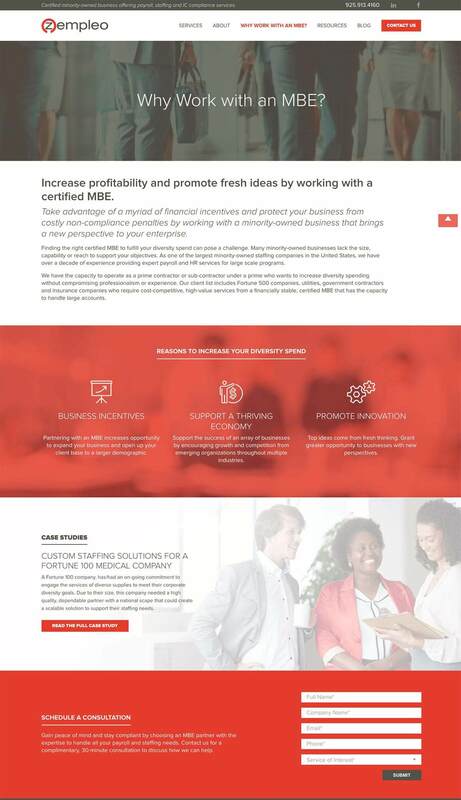 Zempleo hired Bop Design to create a more compelling website that creates synergy among Evergent’s operating companies (Amerit, BRAVE and Suna). 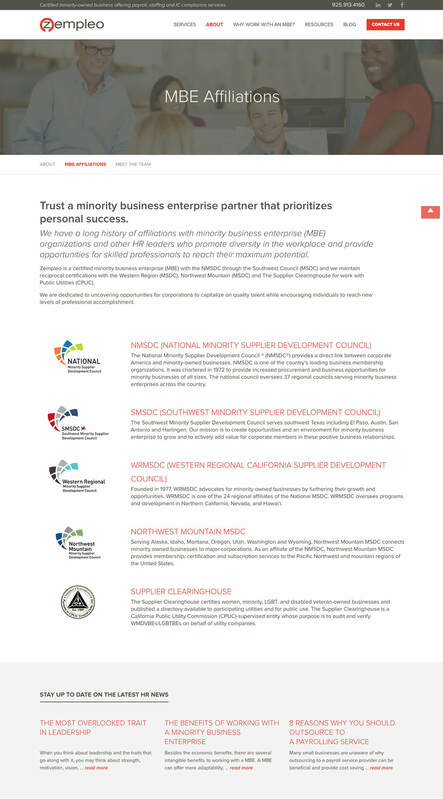 The new website showcases Zempleo’s unique Minority Business Enterprise (MBE) status and the low management, low risk, high volume of payroll service spend mandate. The end result resonates with decision makers at government agencies and private corporations looking to utilize their MBE status.